Johnny Pesky has been in some way connected to the Red Sox for 57 of his 69 years in baseball. 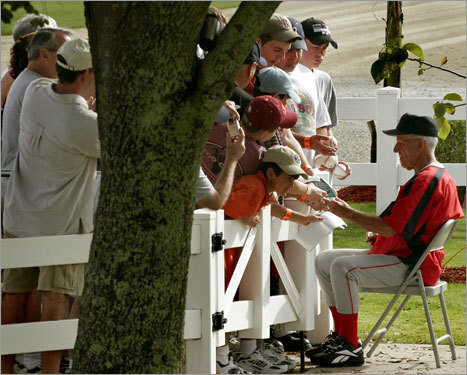 Seen here signing autographs for fans at spring training in 2006, Pesky has been a fixture around the team since his playing days in the 1940s and '50s. With the Red Sox set to retire the 88-year-old Pesky's No. 6 on Friday (his 89th birthday is Saturday), we take a look back at his time with the Red Sox.